The semi-pro Hammond Blue Jays won the game, but they also lost four players to the pros, one of them Lincoln Gumbs, according to The Hammond Star. Gumbs left he team for the independent Greenville Bluesmen, The Star wrote. "We're certainly going to miss those guys, but we wish them the best of luck," Hammond general manager Mark Dangerfield told The Star. Gumbs looked to return to independent ball after playing 32 games the previous year between Abilene and Tyler. He isn't recorded as playing for Greenville in 1998, but he is recorded as returning briefly for independent Ozark in 2002. 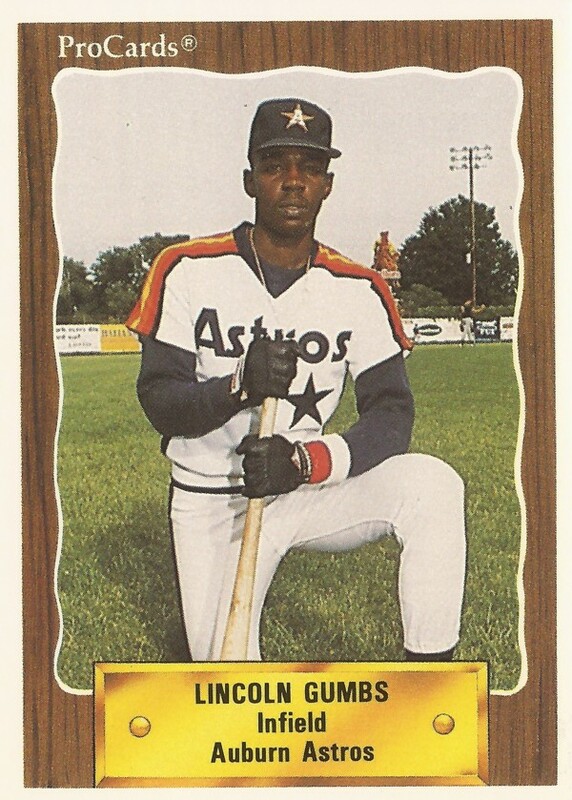 Gumbs' career in the pros began in 1990, taken by the Astros in the 27th round of the draft out of Eastern Illinois University and Clarke Junior College. Gumbs is a native of St. Thomas, Virgin Islands. His career with the Astros ended up being brief. He played in 15 games for short-season Auburn. He picked up six hits in 33 at bats, marking the extent of his affiliated career. He then isn't recorded as playing again until 1997, at Abilene and Tyler. Gumbs played five games at Abilene and 27 at Tyler. He hit .250 overall. He flew out in a May game for Abilene. Gumbs' last pro time came in 2002 at Ozark. In 20 games, he hit .226, ending his pro career. 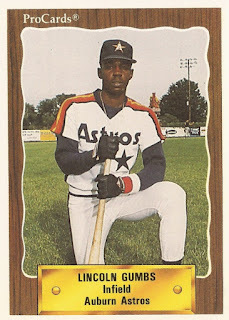 Gumbs has went on to be a baseball instructor in the Houston area. He's listed in 2016 as a coach for Touch 'Em All Urban Nation.